Apart from bringing the biggest allocation for defence, Budget 2019 also brings the largest investments in science and technology. The NDA government's last Budget of its current term is out and it brings with it quite a few surprises. 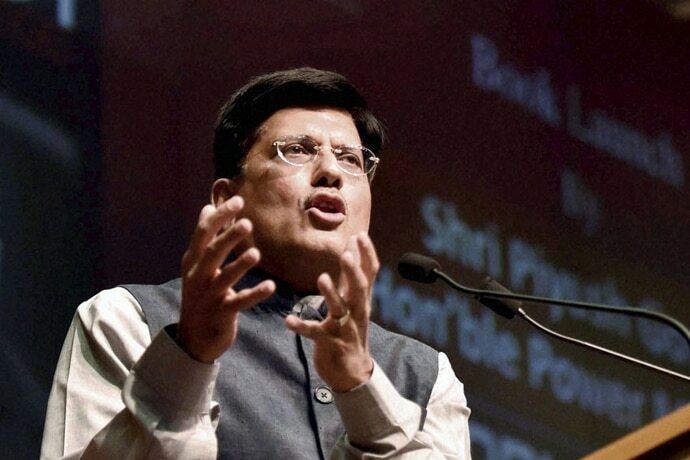 With an eye on the Lok Sabha elections later this year, Piyush Goyal's interim Budget for FY 2019-20 proposes a number of sops for farmers along with tax relief for the middle class – including the proposal to charge salaried individuals no income tax for income up to Rs 6.5 lakh (Rs 5 lakh + Rs 1.5 lakh under 80C of the Income Tax Act). The Budget also focuses heavily on education with an allocation of Rs 38,572 crore for the National Education Mission and also brings with it the highest allocation ever for defence at over 3 lakh crore rupees. Explaining the decision, Piyush Goyal said, "Our soldiers protect the country on the borders and they are our pride. We have allocated more than Rs. 3 lakh crore in this Budget for securing our borders, which is the highest so far. If necessary, additional funds would be provided". Another crucial point of focus for the Budget appears to be science and technology. Unlike Arun Jaitley's Budget from last year, the one for 2019-20 ignored key buzzwords such as "cryptocurrency" or "digital economy". In fact, the Budget did not even talk about increasing the use of technologies such as "blockchain" to improve the efficiency of delivering government projects. However, what it did do instead was announce the largest ever allocation for science and technology at Rs 12,796 crore. The focus appeared to be more on forming a solid platform for the rollout of existing technologies to help the country's major industries, start-ups and rural centers grow faster together. For this, the government has announced plans to develop one lakh digital villages in the next five years. These digital villages will use the fast expanding mobile broadband networks in the country to provide state and center-based schemes directly to the citizens. While being great for millions of citizens in rural areas, the initiative will prove to be a boon for the telecom sector which is looking for returns on the heavy investments made in the last few years. Explaining his vision of turning India into a "modern technology-driven, high growth and transparent society", FM Piyush Goyal also announced a new technology project to transform tax returns. The project will see the government set up a system where all tax returns will be processed within 24 hours and refunds processed simultaneously. Apart from this, the other major tech-related announcement from the Budget was of the government's plan to set up a national center for artificial intelligence. Along with that, a national AI portal will be developed soon. Considering how other major economies have already taken to big data and AI to take a lead in the race for the future, the Finance Ministry's plans to invest in the same is a step in the right direction. Having said that, it'll be interesting to see at what pace progress is made in the coming years on this as countries like China and the USA have already invested in the field. While the US has been a global leader in AI and big data for the last few decades, with many of the world's biggest AI projects operating from within its borders, China too of late has picked up pace and outlined a vision to become the global leader in the space by 2030. As per a document released by the Chinese government earlier this year, the country has already drawn an ambitious roadmap to become the world leader in artificial intelligence and create an industry worth $150 billion by 2030. For India to rival such goals, Piyush Goyal – and successive finance ministers – will have to ensure that work on the national center for artificial intelligence picks up pace, and soon.